Kinfolk is one of those rare books that fits all my horror tastes. This book delves into what I love so much about horror. You’ve got your deranged rednecks, backwoods, dirt roads, and some not so great protagonists. I love it when authors write complex protagonists. You know the characters I’m talking about. The ones that aren’t superheroes. The not so great people that just so happen to be a little bit better than the antagonist(s). Give me those ones and I’ll read them all day. Matt Kurtz does an excellent job with the Kuttner brothers. Ray and Eric pulled off an easy score. Ray’s wife was brutally murdered in retaliation. Basically, the Kuttner brothers are to lowlife petty criminals with nothing to lose, especially after they evened the score with their own merciless payback. Three years pass, and we find out they may have killed the wrong person. Eric finds the real perpetrator. The two brothers meet up to converse about this new development. Well, one bad decision leads to other bad decisions. The Kuttner brothers head across the country to take out the real man who killed Ray’s wife. They should’ve used a GPS or stopped for directions. But they didn’t and that costs them dearly. Shortcuts are never a wise choice when traveling through flyover states. Their car breaks down in the middle of nowhere. That’s when the story really picks up the pace. I had a smile on my face whilst reading Kinfolk. The story reminds me a lot of Wrong Turn and The Texas Chainsaw Massacre. You can literally smell the backwoods funk wafting from the pages. The description is spot on. I gagged a few times because of the character descriptions. The family Ray and Eric run into are every bit as deranged and unhinged as the Sawyer family. 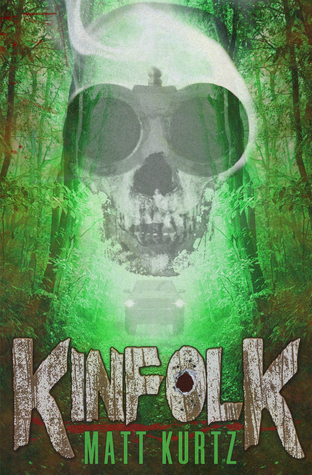 Kinfolk would fit right in with the video nasties of the 80s. Kinfolk contains ample amounts of blood, guts, and incestuous perversions–it’s not for the faint of heart. It’s a tour-de-force of redneck atrocities and hillbilly brutality. From the jump, it’s nonstop mayhem and savagery. I really dig the characters. There wasn’t much characterization, but nonetheless, I was fully invested in the characters. The latter third of the story will make your blood run cold. And that cover is dope! 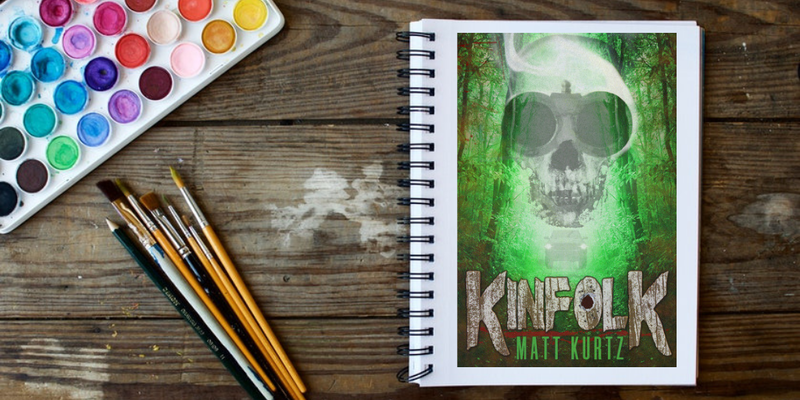 Originally a part-time independent filmmaker and screenwriter, Matt Kurtz decided to narrow his creative energy to focus more on short stories and future novels. Liberating his imagination—and not having to worry about keeping things within a low budget—he spent the last few years honing his craft by writing short stories that have been published in numerous anthologies. His own collection of work entitled Monkey’s Box of Horrors – Tales of Terror: Volume 1 is currently available in paperback and on Kindle. When not working his day job, he’s busy editing his first novel to release later in the year.